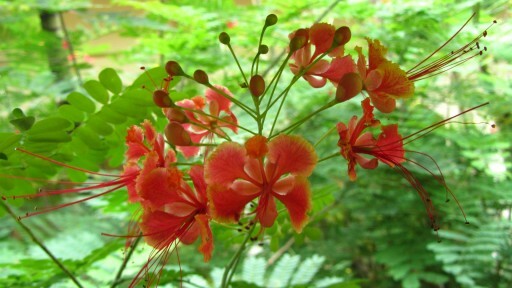 One of the most popular ornamentals cultivated in many gardens around Cambodia is Peacock flower (Caesalpinia pulcherrima). 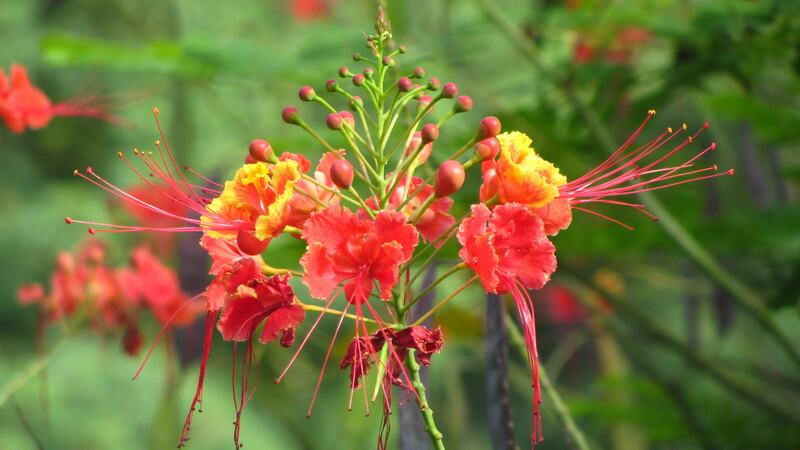 This shrub produces striking flowers in red, orange, pink and yellow colours, and as a result of its beauty and ease of cultivation, it has spread to just about every corner of the tropical world. In fact, the plant has been grown so widely that its exact origin is a matter of dispute – some botanists believe it was first discovered in the Caribbean (one of the plant’s popular name is “Pride of Barbados”) or central America (where is is known as “Mexican bird of paradise”), but others guess that it could easily come from tropical Asia (one of the plant’s popular French name is “orgueil de Chine”, or “pride of China”). 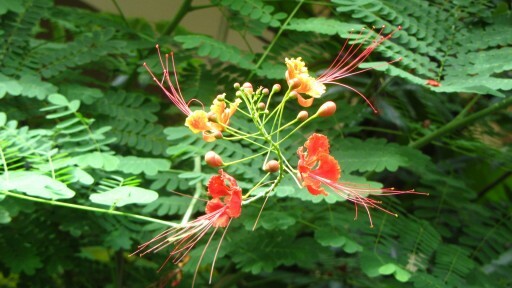 In Taiwan the shrub and the flowers are known as 紅蝴蝶, which literally means “red butterfly”. Besides the flower’s striking colours and unusual shape, there are other reasons for its enormous popularity. 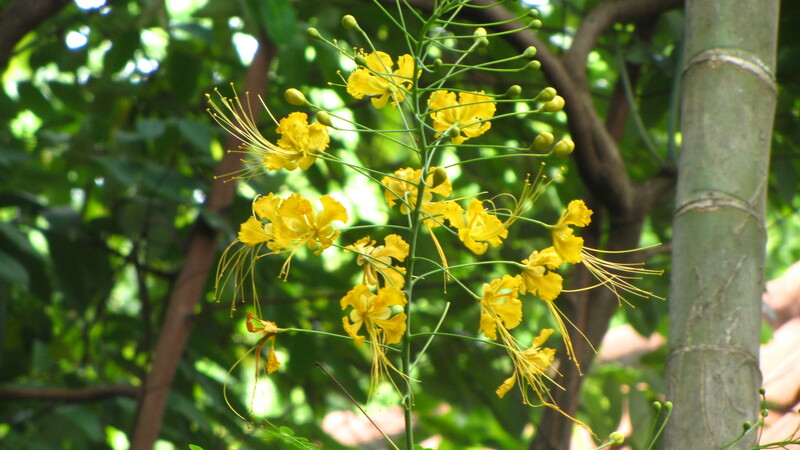 The flowers bloom continuously throughout the year, while the shrub itself is fast-growing and heat-tolerant. 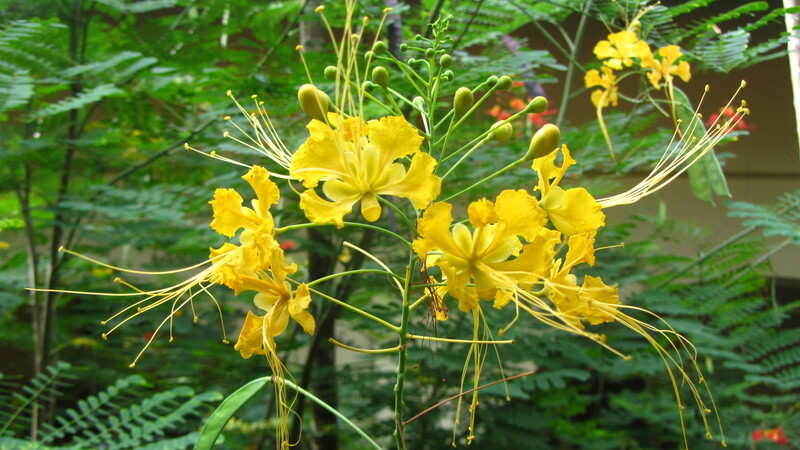 According to an online resource, one of the more curious uses of the plant comes from Suriname where traditional healers used to administer a small dose of its root in order to induce abortion. 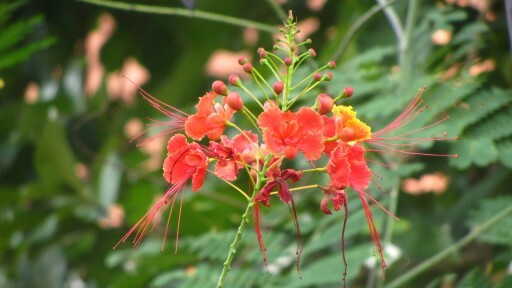 All photos below were taken in and around Siem Reap in Cambodia. « Mangosteen – World’s Best Fruit?